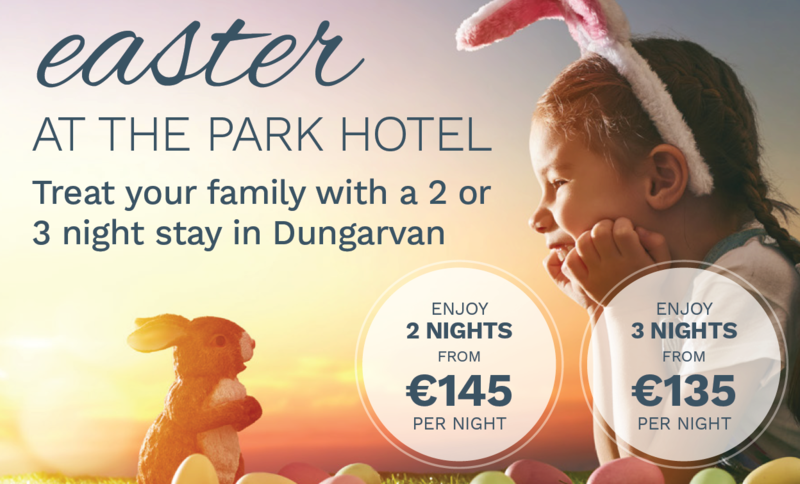 Celebrate Easter at the Park Hotel. Treat your family with a 2 or 3 night stay in Dungarvan! 2 nights from €145 and 3 nights from €135 per night. Book Your East Break Now !